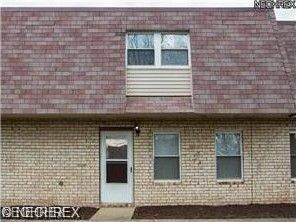 3 Beds 2 Baths 1 Partial Bath 1,302 Sq. ft.
Painting and New Carpeting Still in Process of being installed, may not be finished yet! Located in the Back of Oxford Hts! Newer Kitchen Includes GRANITE Counters and Stainless Steel Appliances and Ceramic Flooring! Stove, Fridge, Microwave, Dishwasher, Washer and Dryer are all Included! Newer Windows and Patio Door! Beautiful Newer Full Bath with Double Sinks! Gas Furnace and Central Air! Attached Garage with Door Opener! Association covers All Exterior, water and trash bill and Swimming Pool!